DETROIT — One does not, perhaps, consider ceramic objects to be immediately gendered, possess sexuality, or be particularly political. But pottery is one of the oldest practices among humans, and is so rooted in fundamental domestic and utilitarian concerns that there is literally no known human society that has not made vessels of some kind. This was something curator Anders Ruhwald, who has served as artist-in-residence and head of the Ceramics Department at Cranbrook Academy of Art since 2008, held very firmly in mind as he assembled contributors for This is the Living Vessel: person. This is what matters. This is our universe., a group show at Pewabic Pottery — an active pottery studio, showroom, and gallery space, as well as one of Detroit’s oldest businesses — which presents seven artists who express perspectives outside the white/male/heteronormative art world structure, using ceramics as a medium. The show borrows its title from a snippet of text lifted from the introduction to Centering in Pottery, Poetry, and Person by M.C. Richards — a potter, poet, and essayist who taught at the Black Mountain College in the 1940s — and alludes to the most unifying truth of all: that every person is a vessel for a unique expression of life. 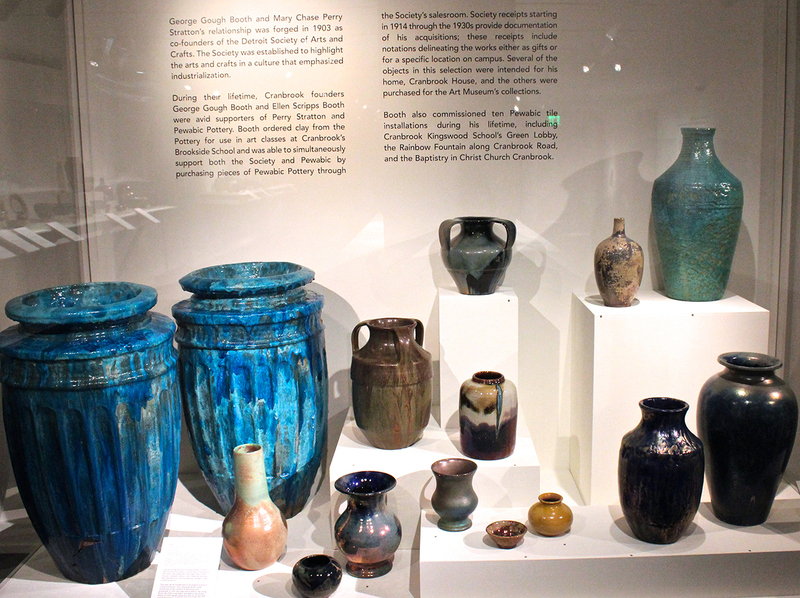 The show is part of a two-way exchange between Pewabic and the Cranbrook Art Museum, which is also showing Simple Forms, Stunning Glazes: The Gerald W. McNeely Collection of Pewabic Pottery, with more than 100 examples of Pewabic pottery (the studio has always produced vessels, but is perhaps best known for its distinctive, jewel-toned array of glazes, which grace many a historic Detroit interior, in tile form) from a recently donated private collection, including works by Pewabic founder Mary Chase Perry Stratton. Cranbrook’s ceramic studio was also founded by a woman, Maija Grotell, sometimes called “the mother of American ceramics,” and the Cranbrook Art Museum hosted a lecture dissecting the work of these two influential studio heads, as well as that of contemporary potter and Living Vessel contributor, Roberto Lugo. Lugo, an artist of Puerto Rican descent, has three eye-catching pots in the show at Pewabic, each a basically conventional form with elaborate figurative and decorative glazing, that celebrate the lives of people of color and carve out a place for their history in a fine studio ceramics context. 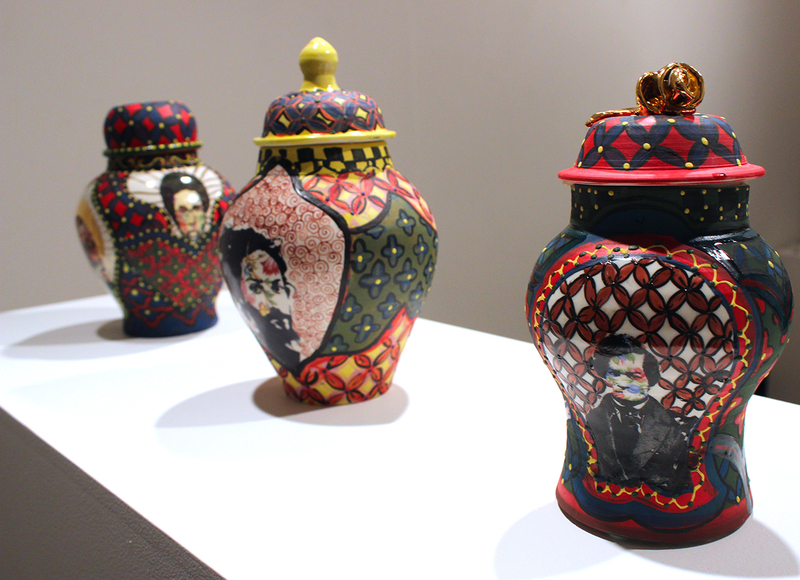 “Frida Kahlo Jar” (2015), “Martin Luther King Jar” (2015), and “Erykah Badu Jar” (2015) each display exquisite portraits and traditional decorative motifs that evoke broadly traditional ceramics design. Lugo speaks movingly about his practice, describing the potting wheel as, “a machine that kills hate,” and citing art as an intervention in his life that prevented him from following in the footsteps of some dozens of his cousins that have run afoul of the institutional corrections system. 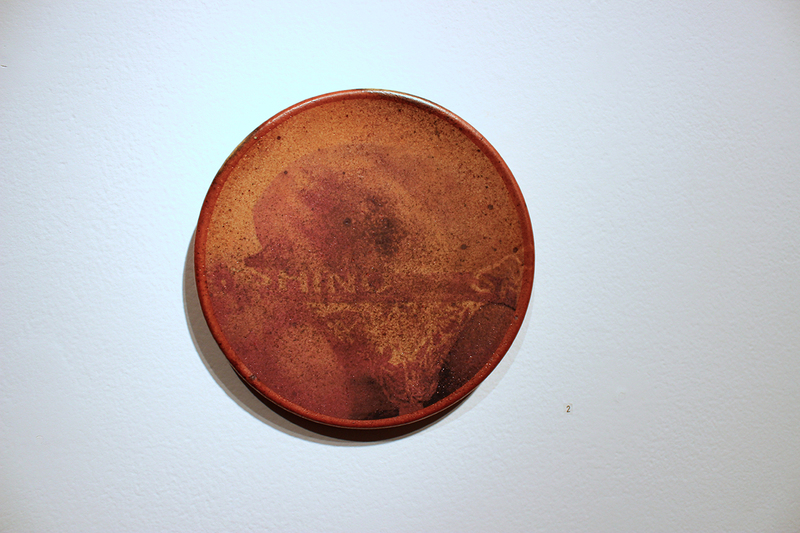 Artist Jeremy Brooks parodies conventional masculinity with his three-piece “Shinowear” (2015) collection, a series of stoneware plates with digital ceramic detail of men’s underwear advertisements, nearly obscured by the heavy rust-colored glaze — which, Ruhwald explains, during an interview in his studio at Cranbrook, is typical of a certain school of highly masculine ceramics artists. If Brooks is remixing a typically masculine aesthetic, “Scout” (2013) by Kathy Butterly, takes the prize for the most feminine piece in the show. Her delicate, colorful, purse-like structure sits within a glass case, mimicking a typical department store display. Butterly rejects the concept of repeating a shape, over and over — a foundational technique of most any working potter — and instead creates labor-intensive and singular forms, as unique as any living vessel. In conversation with the wider world of ceramics history are works by Nicole Cherubini and Matthew Bennett Laurents, a student of Ruhwald’s and recent Cranbrook grad. Cherubini’s installation is the centerpiece of the main gallery, containing two central pieces that are glazed in keeping with Pewabic’s signature bright finishes. “Goldenrod” (2015) and “The Way of the White Clouds (White Structure with Blue)” (2015) both feature ancient vessel constructions, such as a Mexican bean jar, put through a process of digital scanning and printing and then recast as earthenware. Cherubini’s processing of handmade objects through a technological filter seems to underscore the human element to the work, with the graceful curves of her vessels emerging from rough, blocky bases, clogged with bad data. Laurents, too, embraces crude construction, with a collection of rough mug-type vessels bearing faces — a cheeky and funny commentary on the practice of “tourist art-making,” wherein artists visit other cultures and rapidly appropriate “primitive” craft forms out of context. 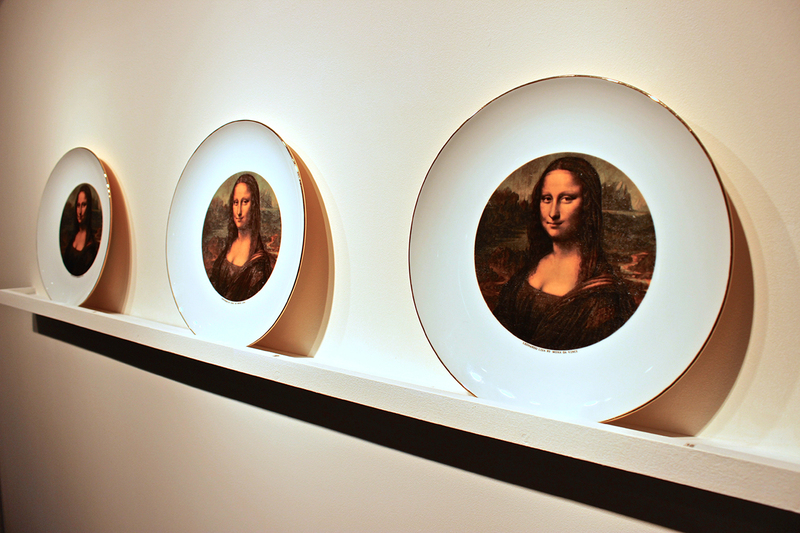 Three works by Howard Kottler — the only non-living participant in the show — have a likewise playful feel, mashing up decals of the Mona Lisa on porcelain, luster-rimmed plates, with progressively convoluted titles that comment on the relationship between muse and artist. Regally rounding out the exhibit with one of her austere and thoughtful assemblages is Marie Torbensdatter Hermann, whose minimalist “Dialogue of a day, #B” (2015) demonstrates a departure from the self-made ceramic shelves that were the basis of her 2015 solo show at Simone DeSousa Gallery. 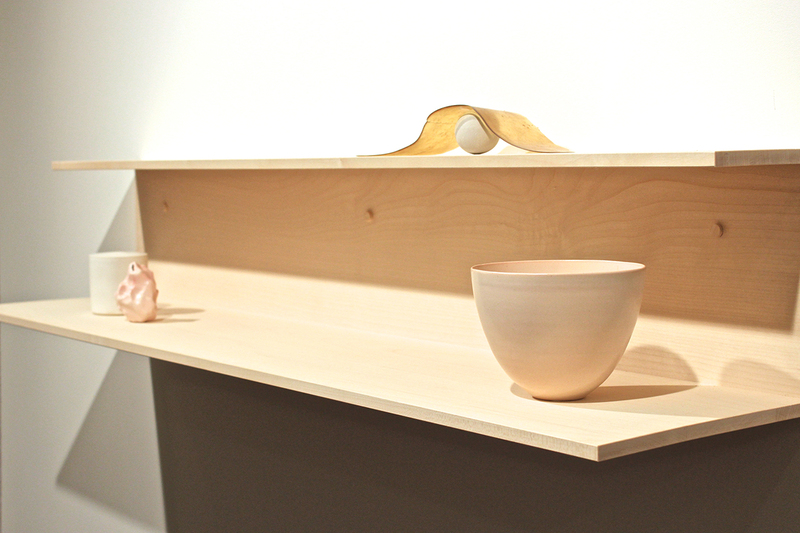 Now working on a larger-scale wooden shelf, Hermann offers an assortment of objects and textures — ball, cup, crumple, puddle — that, as usual, allow neither easy assimilation nor dismissal. Ruhwald has put together an altogether challenging and thoughtful show. 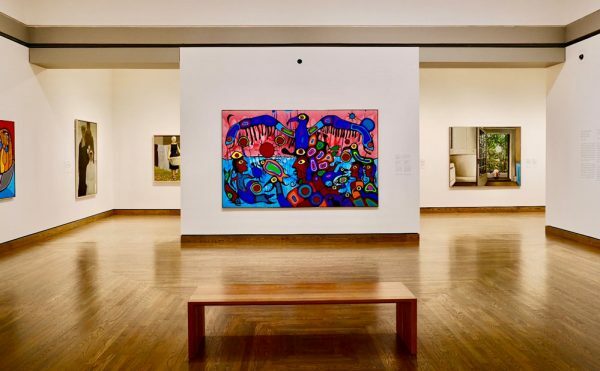 With so many differing perspectives, there seems to be truly something for every viewer to use as a point of access to the work, which covers an astonishing range of references and associations. Like the best exhibitions, This is the Living Vessel: person. This is what matters. This is our universe. 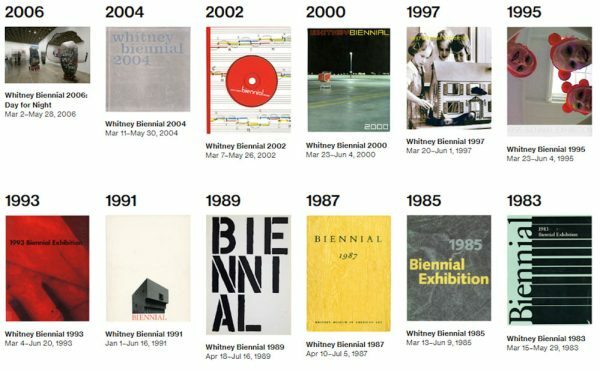 offers us the opportunity to engage with art from a historical, technical, and aesthetic starting point — or just from the basis of being human. This is the Living Vessel: person. This is what matters. This is our universe. continues at Pewabic Pottery (10125 E Jefferson Ave, Detroit) through March 28.